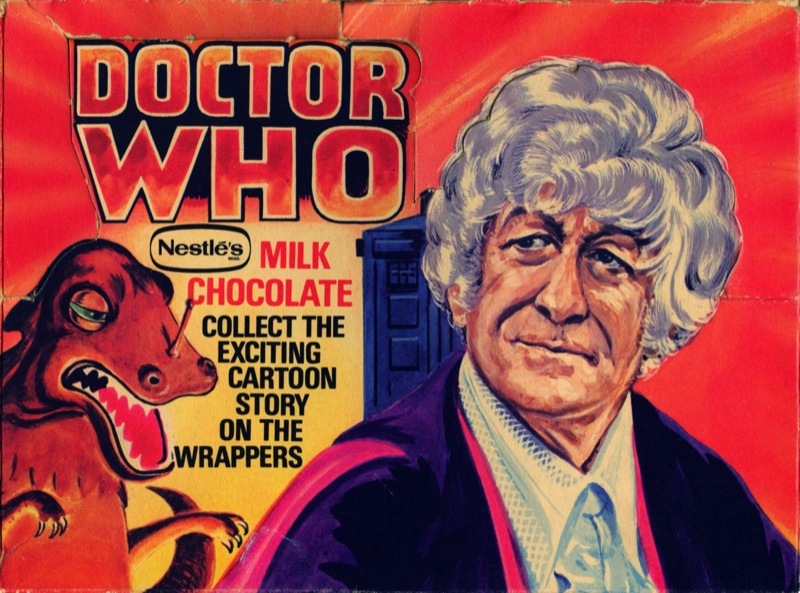 Today it’s picture two of Doctor Who Fights Masterplan “Q” - the 15-part adventure on the backs of the Nestlé Doctor Who Milk Chocolate bars. In this part, The Doctor and Jo explore the surface of Quorus and discover dinosaur-like creatures. But who is the modern-dressed stranger they spy? Here is the artwork to the lid of the sweet shop display box.